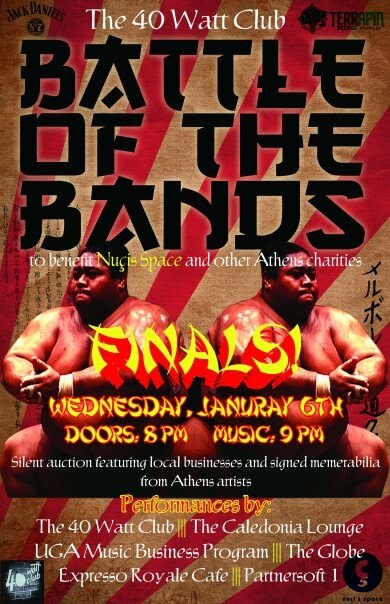 Notes from Space: Battle of the Bands Final! TONIGHT!! Battle of the Bands Final! TONIGHT!! Labels: "40 watt" "Terrapin" "Jack Daniels" "Partner Software" "The Globe" "UGA Music Business Program" "Espresso Royale Cafe" "Caledonia Lounge" "Nuci's Space" "Widespread Panic" "R.E.M."